Cache Valley is a great place. It’s got a lot of resources. You’ve got businesses, grocery chains, movie theaters, and other things normally associated with big cities. While it has the resources of a city, it’s got a community that feels more like a small town. The people know each other and are willing to help each other out in times of need. We care. That’s why we joined forces with several companies around Cache Valley to support CAPSA earlier this year. Citizens Against Physical and Sexual Abuse is a domestic non-profit organization. They provide support and aid in the recovery of victims of domestic violence and sexual assault in the Cache County and Bear Lake area. They provide free services to men, women and children who have suffered from abuse, no matter what kind or when it happened. Sponsoring fundraising events and charity races, they raise money, while also providing shelter and living assistance to abuse survivors. They’ve been valued members of Cache Valley for years. We’ve been supporters of CAPSA for years. We appreciate the work that they do and how much it helps people. That’s why we took it a step further this year. CAPSA has buildings they refer to as transitional houses. These are buildings that serve as homes for abuse victims while they recover. They provide a safe place to live and help ease victims back into the process of living on their own. They use donations from community members to keep the rent on these houses low so victims can get used to paying for their own bills without the stress usually associated with financial concerns. Last year, there was a growing concern for CAPSA funding. They feared that the funding previously provided by the Violence Against Women Act might not be renewed by congress. If this happened, it would be a major blow to their ability to help abuse victims. That’s when we at MW Construction decided to put some extra effort into helping them out. In January of this year, we completed construction on one of these transitional houses. The planning, materials, and labor costs of the construction were all provided for free as a thank you to CAPSA for all their great work. We hope the donation of our time and services will encourage others in Cache Valley to chip in, too. The work CAPSA does is invaluable to many people and we want them to be able to continue their service to the community. From everyone at MW Construction, we’d like to thank CAPSA for what they’ve done for Cache Valley and its residents. Perhaps you’ve wondered about this question. Maybe you’ve never thought about it. Either way, the difference between residential and commercial construction is a good question. The answer is a lot more than you’d think. Commercial construction is building for commercial purposes. Stores, offices, and schools are all examples of commercial construction. 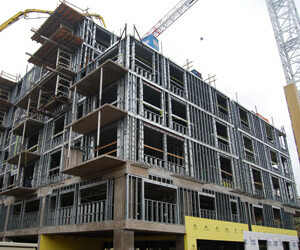 Residential construction focuses on buildings people will live in. Homes, apartments, and housing complexes are all forms of residential construction. This is the difference between the two at the core. There’s a lot more to it, however; each type of construction has very different methods and specialties. There is a lot of crossover between the skills, but a specialist in residential cannot simply do commercial if he’s never done it before. Allow us to break it down. While every construction project will use different materials, the types of materials used are different. 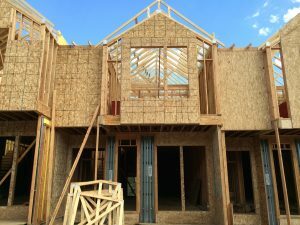 In residential construction, the house is usually constructed around a timber frame. Because residential buildings are smaller, they need less reinforcement. Timber suffices for the structural needs and is more cost effective. A commercial building tends to be much larger, however, so it needs more support. A timber frame would collapse under the weight of a commercial building. For this reason, commercial construction prefers steel frames. It’s stronger and supports large buildings better. It is also more malleable than timber, allowing tall buildings to sway just a little bit, which makes them better able to stand up to high winds. This is a big one. It may seem obvious, but the differences in costs can be surprisingly large, even for buildings of similar size. Commercial construction is always more expensive. Steel is more expensive than timber, obviously, but there are other factors as well. Commercial construction tends to be run on a tight schedule, so the workers need to be more skilled in order to meet those deadlines. That makes their work more expensive. The two types of construction also have different permits and regulations required of them and this significantly changes the costs. And speaking of regulations . . . Compared to residential construction, commercial regulations are much more strict. The materials, building methods, electrical and plumbing systems, and even how they can be designed are all very strictly regulated. These regulations also vary significantly between states, or even between towns. Commercial contractors have to know the regulations very well if they want their company to succeed. While residential buildings still have to follow building codes, the regulations are simpler. The buildings are smaller and simpler in design (usually), so there are far less factors to consider in building them. MW Construction handles both residential and commercial. We have experts in both types on staff, but our particular specialty is in managing teams. 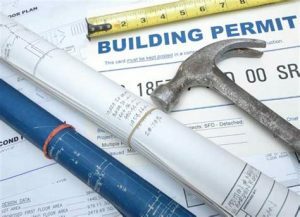 We minimize the number of subcontractors on a project to avoid confusion, but the ones we do hire are always the best. Our management experience allows us to find the best combination of teams as well as keep everyone on the same page. This allows us to minimize construction times on all projects. You’ll have your building done faster and of better quality than any of our competitors could hope to offer. They’ll last longer and be of better quality. So, if you’re looking for a contractor, whether residential or commercial, look no further than MW Construction. Get in touch and find out how we can help you today.